Created, designed and built by Nikolai Zykov in 2003. 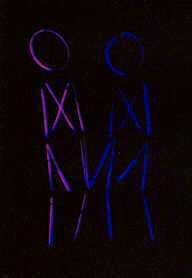 Puppet form: "flying above spectators" chemoluminescent string marionettes. Height: 80 cm / 31 in. First presentation - March 2, 2003, Concert Hall "Moskvich", Moscow. 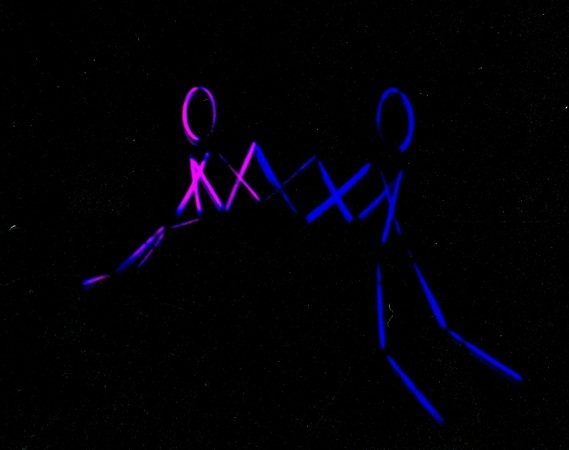 Histoire d'amour - two flying above the spectators glow puppets. See PHOTO ALBUM of HISTOIRE D'AMOUR.